A few minutes ago, I was watching Ingrid’s ‘My Hair Story’ video. And there is just something so empowering about noticing the changes in your appearance transcending into who you are. Changing hair might just be a vain impulse, but for most of us there are psychological ramifications of having longer or shorter hair and how it alters your personality at the point in time. I believe I’ve always been fairly bold with my choices, in cuts and in color. In fact, when I was little I had waist length, luscious locks that while everyone envied, I despised. Long hair was constricting back then, also it emphasized extreme femininity to me and I felt out of place. Don’t get me wrong, as much as I’m all about that contour-life, it’s not my cup of tea to go to a salon to do my nails or wear florals. I like my leather, rough and tough. So yea, long hair was an absolute NO for me back then and I went from that to a bob in 3 seconds (maybe more, I was 9!). That’s when my vicious cycle of short hair began. Being on the heavier side, I am well aware that longer layers would be more flattering, but I loved lobs, bobs, asymmetric haircuts and scarlet Jo’s Black Widow way too much to commit. 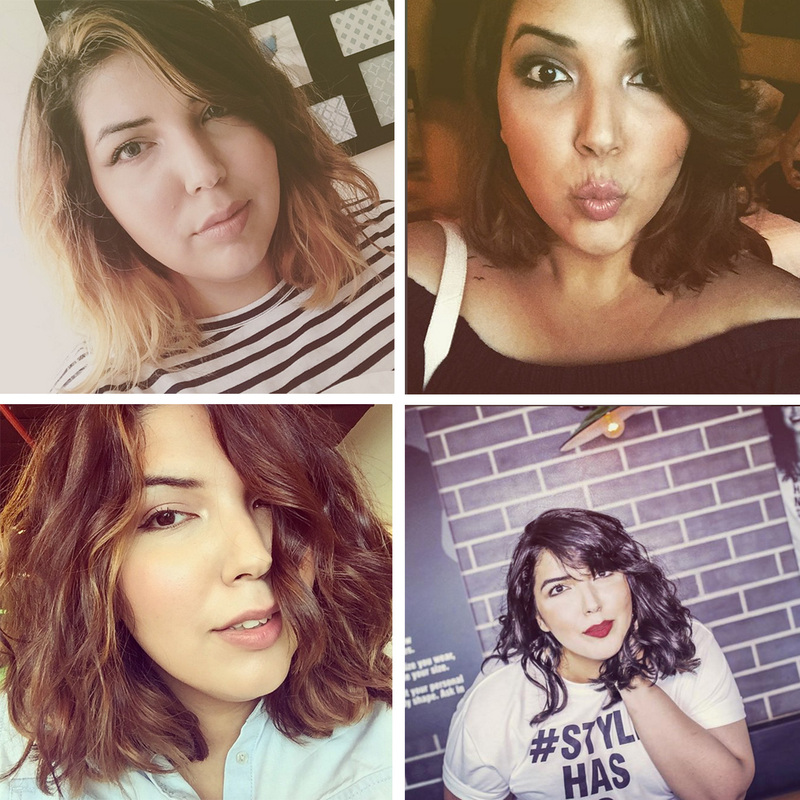 Emotionally, haircuts were cathartic to me in every phase, I had considerably longer hair when I was in relationships and I went from those to almost pixie’s in no-time. Short hair always signified freedom and a sense of self. It made me feel slightly on-edge and ‘pretty un-pretty’ at all times. I still remember taking the scissors and chopping off my hair from medium length layers to a bob right after a breakup. It was juvenile and probably my worst-haircut of all times, but boy it felt good. Then I went through another phase of being partially blonde and at the time I thought it was cool and non-basic. However, it really was the most basic thing I had ever done. I loved it for a while and after the longest decision of doing ombre’s, highlights and brown based hair color, I’ve come to love my black hair (for now). This reminds me of my emo bangs phase, but let’s skip right through that, okay? Now my hair is considerably long, although, I keep scratching my itch by changing my fringe every now and then, but I like my hair. I like to untamed edges and perpetual bed-head. It’s me in every form. It is slightly pretty, always styled in a ruffled chaos and never pitch-perfect. It’s flawed and I love it. This is my hair story, tell me yours in the comments below.